• 1970 sqft , 2 bath , 5 bdrm bi-level – FOR SALE USD215,000 . 5 bedrooms, 2 bathrooms. 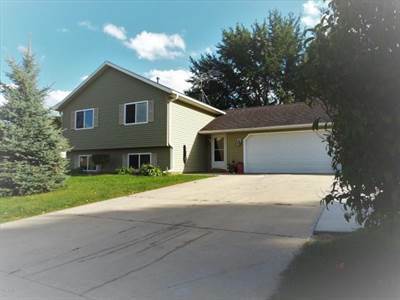 Quick possession available on the great side split home. hardwood flooring in upstairs bedrooms and living room Ceramic flooring in kitchen/dining and baths. Newer appliances. Enjoy the deck and patio along with a fire pit. Extra storage in shed.